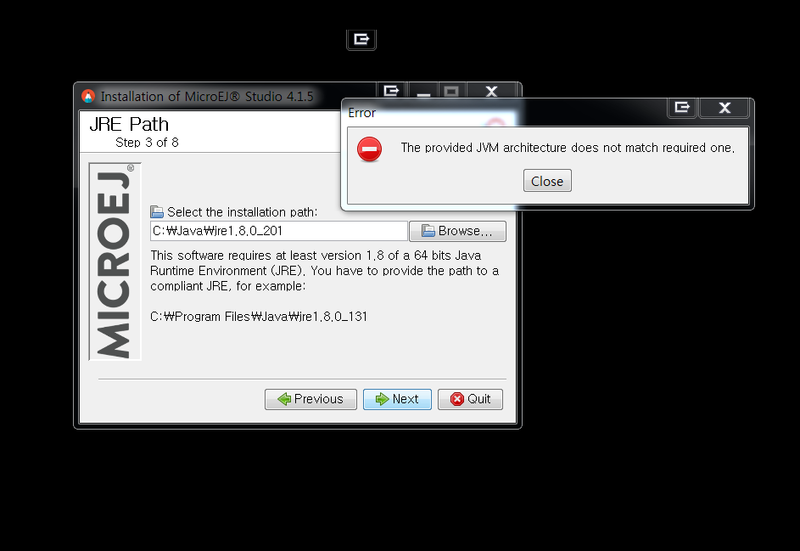 i tried to install the MicroEJ Studio 4.1.5 this morning my time, but i see only the error message on screen like “The provided JVM architecture does not match required one.” even after i installed successfully the latest Java VM from Oracle, JRE1.8.0_201. Can you please advise me on where i have missed anything in the process? 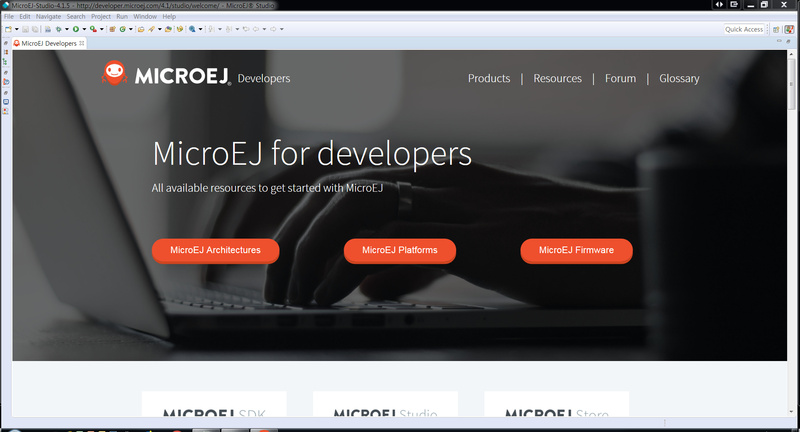 This problem has been solved when i installed JRE 1.8.0_131, and i’m so sorry about this. Oh ok no problem, simply glad it works for you.